LOS ANGELES -- A pocket version of the U.S. Constitution has become a best-seller on Amazon.com. The 52-page pamphlet printed by the National Center for Constitutional Studies sells for $1 and was in the Top 10 best-selling books on Amazon on Saturday afternoon. The site produces an hourly list of its best sellers. 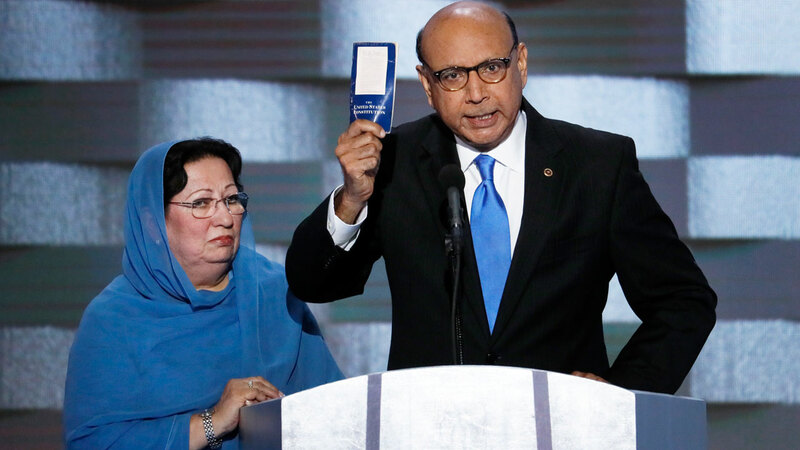 The Constitution emerged as a best-seller days after Muslim-American lawyer Khizr Khan, whose son was killed while serving in Iraq, flashed a pocket Constitution and offered to lend it to Republican presidential candidate Donald Trump during a speech at the Democratic National Convention. The version Khan used at the convention did not appear to be the same as the one that became popular on Amazon. A message sent to Amazon seeking sales details for the Constitution pamphlet was not immediately returned.